Riding those popular motorized mini-scooters and motor-bicycles in the City of Scottsdale while drinking can earn you a drunk riding charge and five days in jail under a recently enacted ordinance revision. The city council approved the revised ordinance 6-1 in November regulating the use of these trendy machines. It became effective on December 13, 2018, in time for the holiday season. The council took up the issue because of drinking and scootering including at least one known intoxicated motorized rider, according to a Scottsdale public information staffer. Also, the city was getting complaints about these small motorized machines clogging Old Town walkways with its popular restaurants and bars and the nearby pathways competing with foot traffic. The revised ordinance, too, is a response to how and where these electric machines can be parked as their riders enjoy the many offerings of Old Town Scottsdale, and anywhere else within city limits. Three companies renting these machines, Bird, Lime, and Razor, will share responsibility with their renters to follow the restricted parking and operational aspects of the ordinance that police will use to detain you and judge if you are likely intoxicated to the slightest degree. The revised ordinance applies to “all bicycles and scooters, electric or otherwise,” and demands they yield to pedestrians just as cars must do under Arizona law. Scooters can still use the sidewalks. But electric bicycles are not allowed on sidewalks or on the multiuse paths in the area yet they may be used on roadways with posted speed limits of 40 mph or slower. More specifically, the ordinance defines “all” as electric and motorized bicycles, motorized skateboards, motorized play vehicles and stand-up electric mini-scooters. Riders using any of these machines – or who are in actual physical control of them – while under the influence of alcohol, illicit or prescription drugs, in vapor or any other form will be arrested for a Class 1 misdemeanor, the most severe of misdemeanors. You don’t have to be riding one of these electronic machines to be charged with a DUI. Arizona law allows a DUI conviction for having control, actual or physical, of the vehicle but that is not well defined in Arizona law or Scottsdale ordinances. Police use this law to support a DUI charge if the motorized device is at rest. This is a legally debatable issue. A misdemeanor conviction will show up on background checks making it difficult to rent a place to live get a job and you can’t qualify to receive federal student loans. Under Scottsdale’s ordinance, the judge may suspend all but 24 hours of the sentence if the person finishes a court ordered alcohol or other drug screening, education or treatment program. Riders who are sober but riding aggressively can be cited for reckless disregard for the safety or property of someone. This is a Class 2 misdemeanor punishable by up to four months in county jail. If you hurt somebody you open yourself to a civil lawsuit seeking monetary damages to cover medical bills and related expenses. A DUI scooter charge follows the state’s DUI laws. The legal limit of using alcohol under Arizona law is 0.08 percent blood alcohol concentration (BAC) within two hours of the arrest or have drug metabolite in your system. But Arizona is a no-tolerance state meaning that if you’re on a mini-scooter and are even “slightly impaired” you can be arrested. Getting to impairment levels can be different depending upon the individual’s metabolism in processing alcohol and drugs, body size and weight, or tolerance built up over time for regular drinkers. 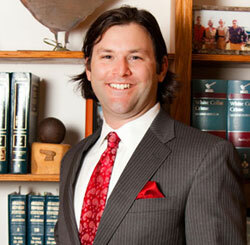 Most DUI cases are misdemeanors, but they can become more serious felonies. A BAC of 0.15 is an extreme DUI and if the BAC is 0.20 or more the charge is super DUI. For riders who are younger than the state’s legal drinking age the prosecution only has to show impairment to the slightest degree. Your rights under the U.S. Constitution protects you. If the officer illegally stopped you without sufficient probable cause or didn’t advise you of your right to remain silent to avoid self-incrimination, then any evidence against you can’t be used in court. Also, you can challenge the results of the field sobriety assessment and the breathalyzer test results as not accurate. Other defenses may be available to you, too, depending upon the circumstances. At the stop, it’s in your best interest to respectfully decline to answer the officer’s questions and ask for an attorney immediately. That should stop further questioning. If arrested for a scooter misdemeanor DUI in Old Town Scottsdale, your case will be assigned to a judge in Scottsdale Municipal Court and it’s best that you hire a DUI Defense Attorney as soon as possible. If you or someone you know has been charged with a DUI while riding a Scooter, contact Scottsdale, AZ DUI Defense Attorney Aaron Black or call (480)729-1683 for a free consultation.